I don't do Waiting on Wednesday every week for one reason: There are always SO MANY books that I'm anticipating coming out that it's hard to pick just one. But occasionally, there is one book that I want more than any other and that I simply cannot wait for. Right now, that book is The Orphan Queen by my fabulous friend, Jodi Meadows. It's well documented that I have forever been in love with Jodi's Newsoul trilogy (Incarnate, Asunder, and Infinite). I was incredibly sick the week that Infinite came out and had been in the hospital. But I begged my mom to drive me to Barnes and Noble and I went in, in my pajamas, with hospital slipper socks still on my feet and shoved into my sneakers, and my arms covered in gauze and bruises from failed blood draw and IV attempts. I was sick as a dog, but I would not miss getting Infinite the day it came out, because Jodi Meadow's writing is simply amazing. I really think her books deserve so much more attention than they get. I loved the Shatter Me series and the Divergent trilogy dearly and they are just behemoths in the world of YA literature -- everyone knows about them and they are practically required reading for book review bloggers. But the Newsoul trilogy was, in my opinion, better the Divergent series and the Shatter Me series. Besides being a phenomenal writer, Jodi Meadows is also one of the kindest people and a fantastic friend. I've never met her personally, but when she heard how sick I was in January, she sent me an envelope stuffed with bookmarks, most of then autographed, and tons of swag. And she's been my cheerleader, constantly giving me words of wisdom and support via Twitter and Instagram. She's just a great person and someone whose writing I love to support. The second I finished Infinite, my first question for her was, "Okay, what's next?" 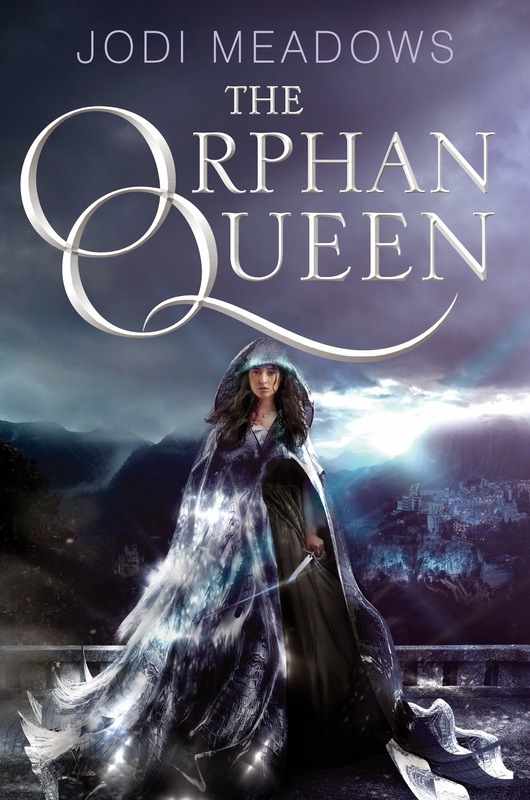 What's next for Jodi is her new series, the first book in being The Orphan Queen, set to be released on March 10, 2015 from Katherine Tegen (Harper Collins). Come hell, highwater, or hospital stays, I will make sure that this book is in my hands on the release day! So that's my Waiting on Wednesday for this week -- there is no other book I'm more excited about at the moment.